The fossil site of Cerdas, Bolivia, is located on the high, flat plateau in the middle of the Andes Mountains known as the Altiplano. This makes it a challenging place to do fieldwork. 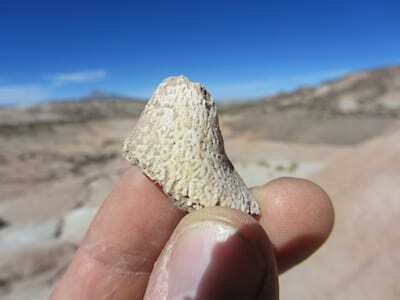 The fossil-producing beds range in elevation from about 12,500 to 13,000 feet (3,800 to 4,000 m), which means the air is thin and nights are almost always cold. It is easy to forget that the Altiplano is technically located in the tropics, about the same distance from the Equator as central Mexico. 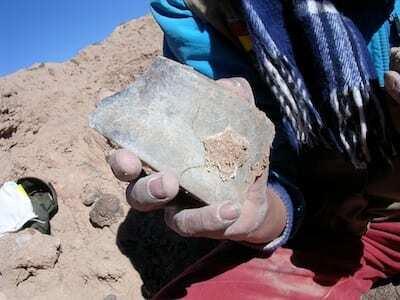 Cerdas is not a particularly rich fossil site; we have only collected about 120 specimens there. Nevertheless, we have documented some 15 species of mammals in seven orders, and that gives us an idea of the types of mammals that were living in the area 16 to 15 million years ago (the early part of the middle Miocene). The site was certainly at a much lower elevation during the middle Miocene, probably less than 3,000 feet (1 km), and received more precipitation than it does today. It also had a much warmer climate, not only due to its lower elevation, but also because warm conditions predominated throughout the globe at the time, an interval that has been termed the Middle Miocene Climatic Optimum (MMCO). During the MMCO, which lasted from about 17 to 15 million years ago, tropical animals such as monkeys, anteaters, and porcupines were living as far south as the tip of South America. The ranges of these and other mammals contracted after the MMCO, and they now are mostly restricted to tropical latitudes. Cerdas is one of the few Neotropical localities that documents this pivotal moment in the evolution of South American mammal communities. Most other South American localities of this age are from the far south of the continent, in Patagonia. A nasal horn of a peltephilid armadillo species unique to Bolivia. An upper tooth of the large toxodontid notoungulate Palyeidodon. 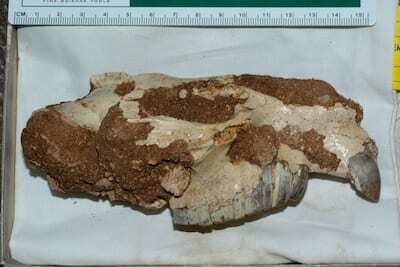 A skull of the mesothere “Plesiotypotherium” minus. Catena, A.M., D.I. Hembree, B. Saylor & D.A. Croft. 2016. Paleoenvironmental analysis of the Neotropical fossil mammal site of Cerdas, Bolivia (middle Miocene) based on ichnofossils and paleopedology. Palaeogeography, Palaeoclimatology, Palaeoecology 459:423-439. Croft, D.A., A.A. Carlini, M.R. Ciancio, D. Brandoni, N.E. Drew, R.K. Engelman & F. Anaya. 2016. 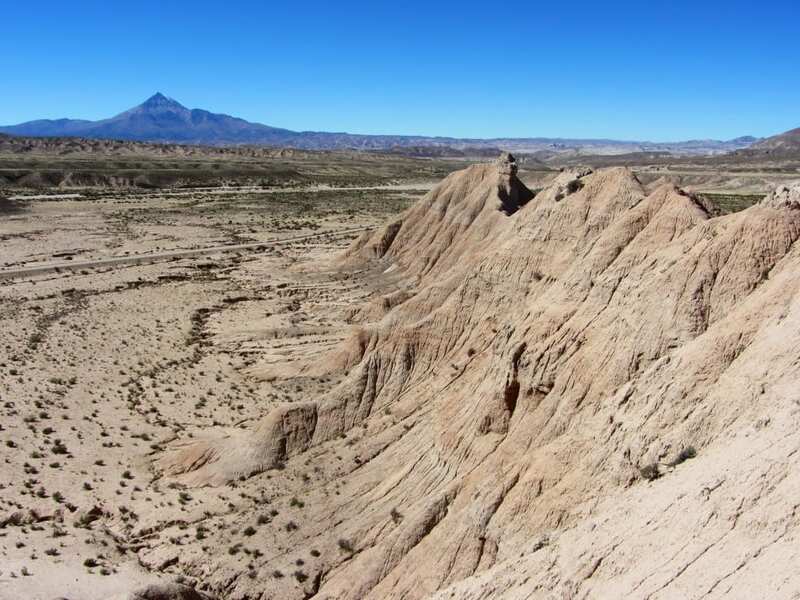 New mammal faunal data from Cerdas, Bolivia, a middle-latitude Neotropical site that chronicles the end of the Middle Miocene Climatic Optimum in South America. Journal of Vertebrate Paleontology 36(5):e1163574. MacFadden B.J., F. Anaya & C.C. Swisher, III. 1995. Neogene paleomagnetism and oroclinal bending of the central Andes of Bolivia. Journal of Geophysical Research 100: 8153–8167. Townsend, B. & D.A. Croft. 2010. Middle Miocene mesotheriine diversity at Cerdas, Bolivia, and a reconsideration of Plesiotypotherium minus. Palaeontologia Electronica 13(1); 1A:36p.